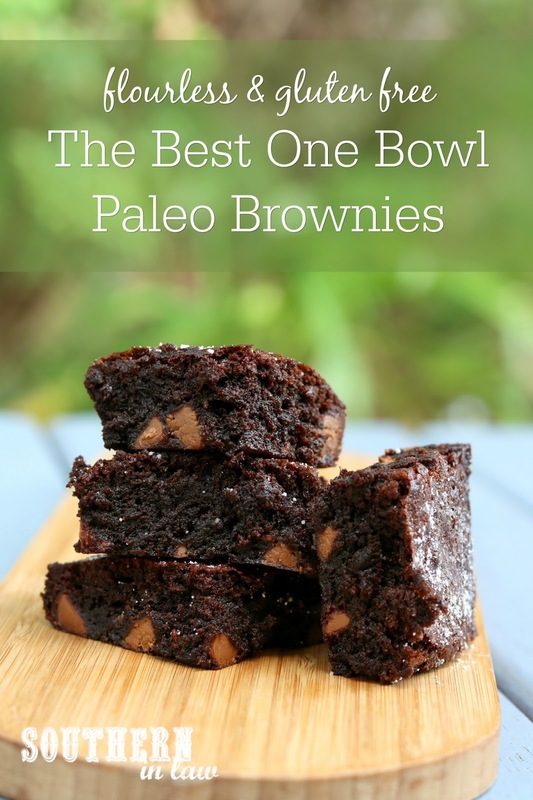 I've probably said this before... but this is THE BEST brownie recipe. It has everything you want in a brownie. It's the kind of recipe you make and share because you know everyone's going to love it.... and ask for the recipe. 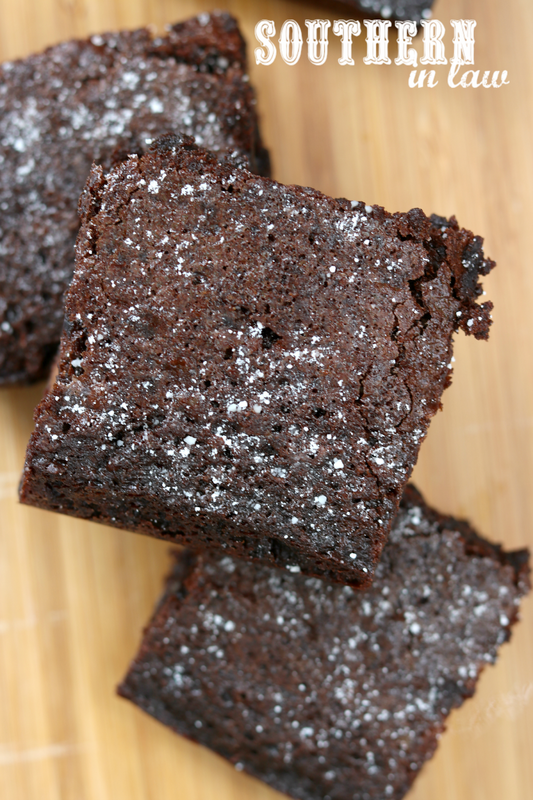 But these brownies have a bit of a secret... you see, they don't have ANY flour or ANY grains. 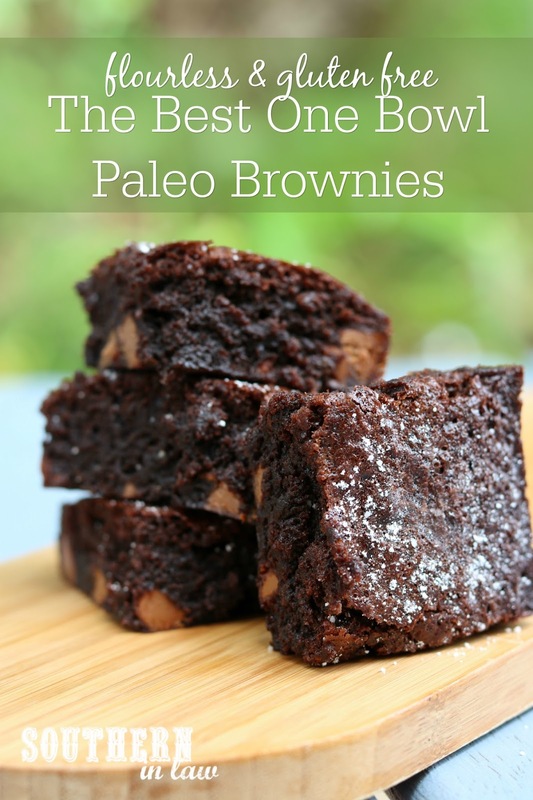 Technically, they're paleo... and if I was a caveman... or cavewoman... do you say that?... I'd be the one running around with a brownie in one hand and a spear in the other. And one in my mouth, because... you know... sustenance. Luckily, however, I'm not a caveman and I have a computer and the internet so I can share this recipe with you. Line an 8x8" tin with baking paper and set aside (make sure all sides are covered as this mix will stick). I use this tin as the straight sides make for the best chewy edges! In a medium mixing bowl, combine your coconut oil and sugar (you can melt your coconut oil to make it easier - but I usually just mix it straight out of the jar - unless it's the middle of winter). Add your eggs, tapioca starch, cocoa powder and salt into your coconut oil mixture and mix until combined. Stir through your chocolate chips, ensuring everything is evenly mixed. The batter will be quite thick - but don't worry! Pour your batter into your prepared tin, smoothing it out into an even layer. Bake your brownies for 20-25 minutes or until the edges are crisp and a skewer inserted into the middle removes clean. They will firm up as they cool. These brownies will keep in the fridge in an airtight container for 2-3 days and can also be frozen to defrost and enjoy later (or be eaten frozen... like someone impatient that I know... ahem... me...). *Let's be real... I just pour chocolate chips into the batter until I decide there's enough. The more chocolate the better, right?! What does your ULTIMATE brownie look like? Chewy? Gooey? Filled with chocolate chips? Packed with nuts?